The Salesforce Foundation provides 10 seat licenses of its Non Profit Success Pack (formerly Non Profit Starter Pack) to eligible organizations for free. Salesforce.com has been around for a long time. I first heard about it when I worked at a dot-com startup in California. At the time, Salesforce was predominantly used for managing leads and what we now call “CRM” activities. Once I moved on from that job, Salesforce fell off my radar. That is until I started working for High Country News, a non-profit regional magazine based in Colorado. Before I started there, another HCN staffer had already wisely signed up for Salesforce’s Non Profit Success Pack (NPSP). After some time spent getting to know Salesforce I came to realize what a value it is. Non Profit Success Pack: An enormous opportunity for most non-profit organizations. It’s FREE. The Salesforce Foundation provides the NPSP at no charge to 501c3 organizations, including the licenses for 10 accounts (or “seats”). It’s useful right out of the box. The NPSP is aptly named having been pre-configured to give an organization new to Salesforce man of the tools they’d need to properly track donor activity. It’s powerfully flexible. Salesforce is nearly infinitely extensible given that there is an enormous industry out there constantly churning out new functionality specifically for Salesforce. A large number of the “apps” that are created for Salesforce are free to all Salesforce customers. But even those that are created for Salesforce’s paying customers are available for free to non-profit organizations due to the heavy emphasis on philanthropy within the Salesforce ecosystem. Salesforce is complicated. Perhaps because of the incredible flexibility and power of Salesforce, it can be challenging to understand how to customize your account to better suit your unique processes or data. 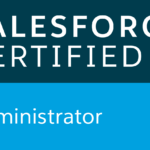 There is a wealth of online documentation and training for Salesforce, but it takes time to work through. Data migration can be tricky. Many organizations I’ve worked with have legacy software for managing their donor/subscriber/customer data. To use Salesforce that data must be migrated from the old tool into the new Salesforce environment. If that process isn’t done properly, it can create long-term problems that will hamper an organization’s ability to use Salesforce, or worse, degrade process efficiency and irritate already over-worked staff. Despite the concerns list above (and those that aren’t), I consider Salesforce and the NPSP to be a potentially game-changing tool for most non-profits. Once an evaluation of an organization’s capabilities and objectives is completed, and a rational, measured approach to moving your data and processes to Salesforce is created, the non-profit stands to benefit a great deal. Efficiency: improve your processes so that staff time is spent engaging with your supporters rather than pushing paperwork or wrestling with archaic systems. Enhanced donor engagement: Donor-facing tools and communication can often be radically improved once your data and systems are no longer locked up in legacy systems. Automated emails, communication preferences, household-specific information, and contact history are just some of the out-of-the-box features available in the NPSP. And, with Salesforce’s extensibility, the opportunities for expanding this engagement are nearly limitless. Increase donations: With new systems in place you can make it easier for your supporters to donate. Track the performance of your development campaigns so that you can work more effectively. So, if you’re interested, please get in touch and I’ll help you understand more of the pros and cons of using Salesforce within your non-profit organization.